The CEO of Space-O Technologies, Rakesh Patel, was quoted in the Ahmedabad newspaper, Sandesh. The newspaper wrote a feature article on mobile internet usage around the world. 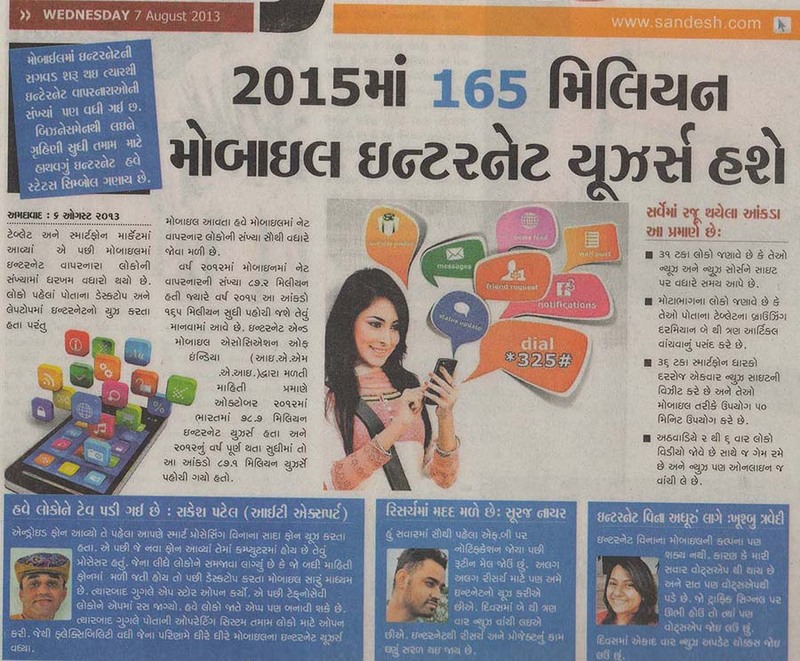 The article explains how users will be more inclined towards the use of their mobile devices for using the internet. In the year 2012, there were an estimated 87.2 million users who used their mobiles to access the internet. The article stated that in the year 2015, that number will rise to 165 million. IT expert and CEO of Space-O, Rakesh Patel, gave his expert views on it. He explained how people are, and will be more inclined towards the use of smartphones, as opposed to the use of desktops. He described the importance of Android’s operating system, and how it enables users to not just access the internet, but download and give mobile app companies to create apps to simplify the life of people. He went on to demonstrate that in the age of a tech-savvy audience, smartphone devices are the way to go, as it brings in more flexibility to it’s users.